Near the outer gate of the city is a well and a tamarisk tree. 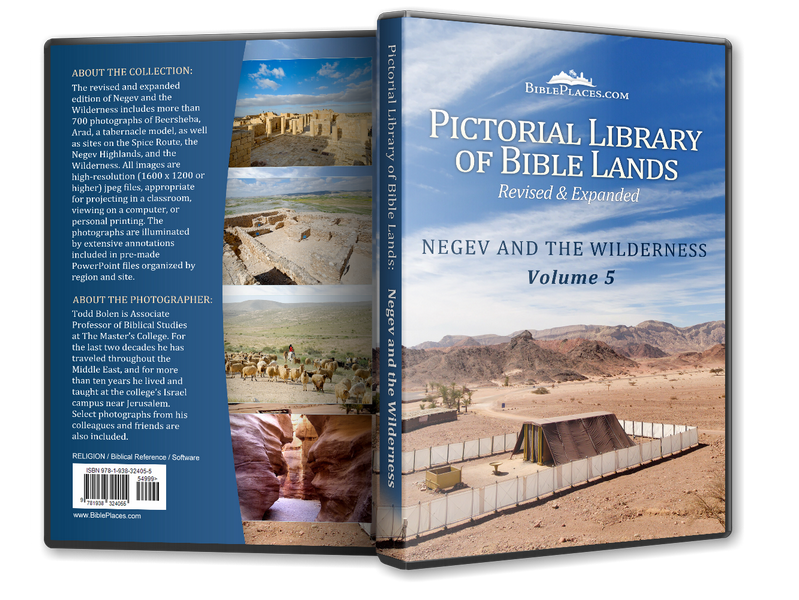 Both are later than the time of the patriarchs, but they remind one of the well Abraham dug and the tree he planted (Gen 21). The tamarisk tree is well suited to life in the Negev with its deep root system and its ability to survive on brackish water. It secretes salt on its leaves and drips water in the morning. 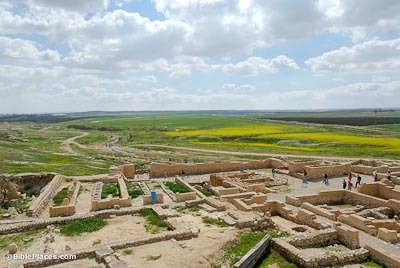 Excavated by Y. Aharoni 1969-1975, broad areas of Stratum II of Tell Sheba were exposed. 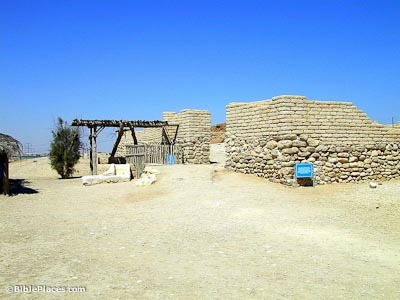 Reconstruction work began in 1990 and has concentrated on rebuilding the city as it was in the latter part of the 8th century, the time of King Hezekiah. 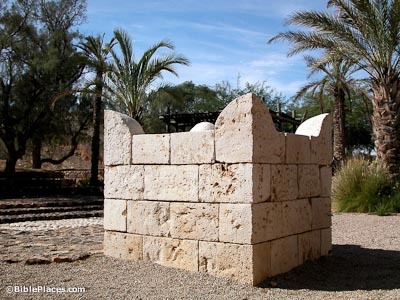 Better known as an Israelite pillared building, this typical structure has been found around the country throughout the Iron Age (1200-600 BC). Subdivided by pillars into smaller rooms, these houses were often built against the city wall, with the house’s back wall forming a portion of the city’s casemate wall. 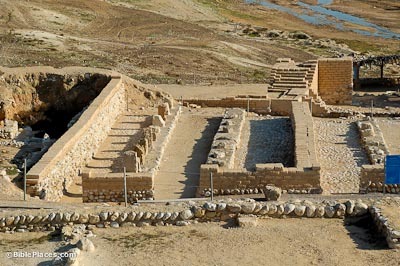 Three tripartite pillared buildings were revealed in the excavations. The archaeologists believe that these are storehouses in part because of the large quantity of vessels found inside. 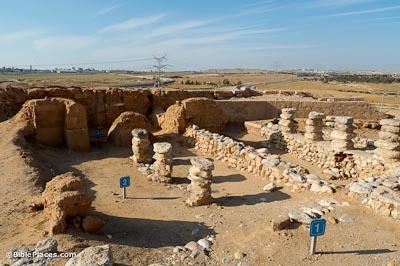 Other scholars regard this building design as characteristic of stables and overwhelming evidence suggests this is a more accurate identification. Sandstone blocks integrated into the walls of the storehouses were originally part of a four-horned altar. Three of the sandstone blocks preserved the shape of large horns typical of four-horned altars, while a fourth showed evidence that the horn had been broken off. Another of the stones bore the image of a deeply incised serpent.